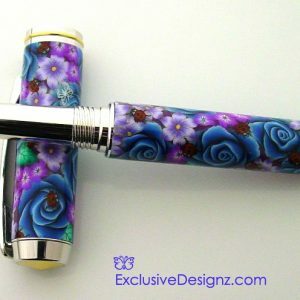 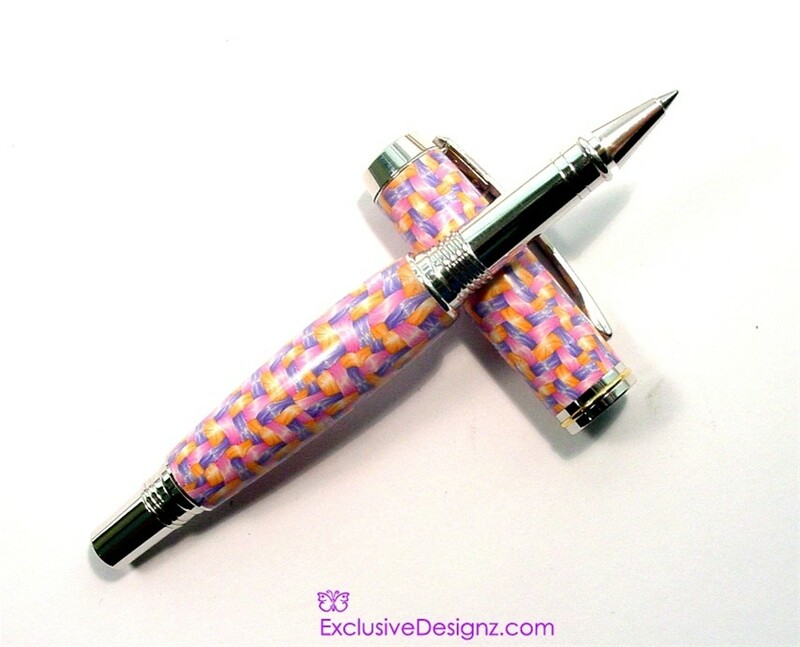 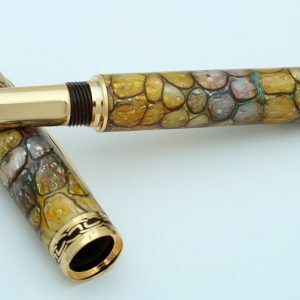 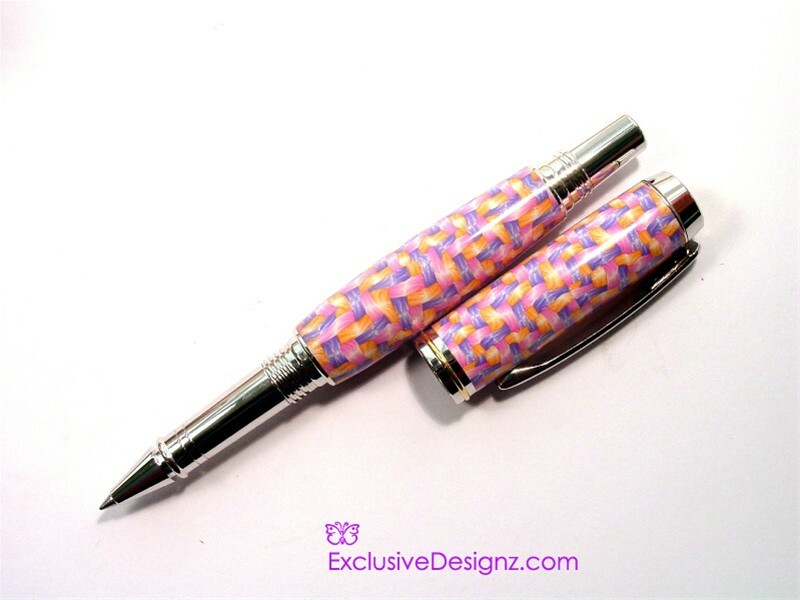 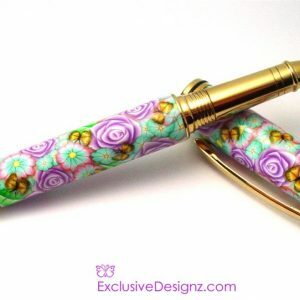 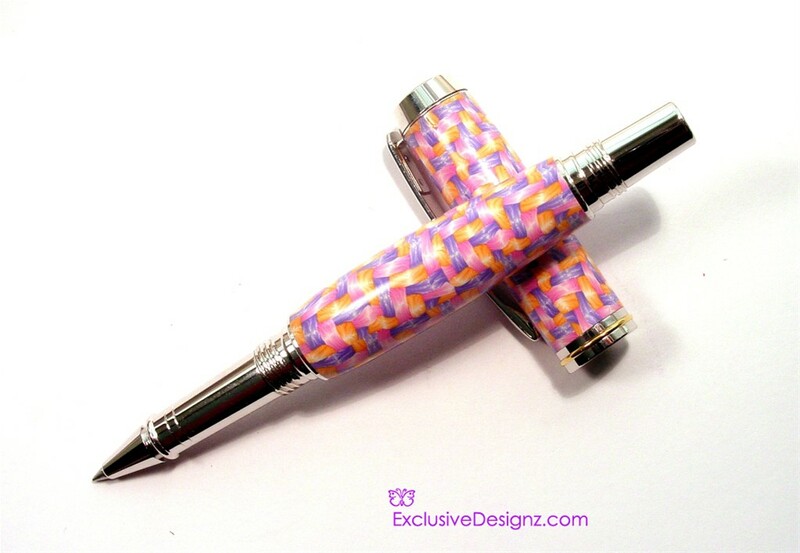 Unique one of a kind pen crafted by Toni Ransfield. 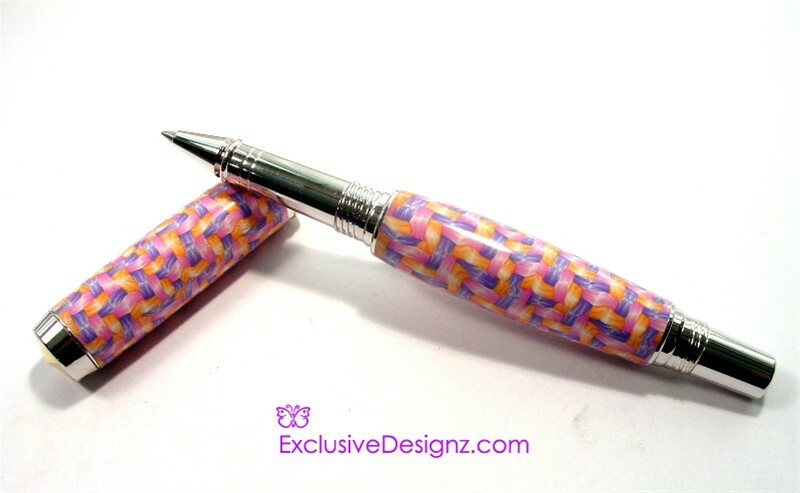 This design replicates the look of a Raffia Basket Weave done in gorgeous Pinks, Oranges and Purples. 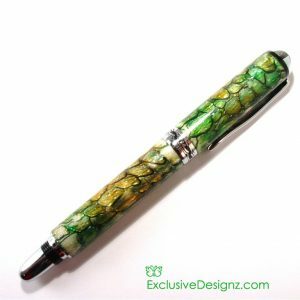 Jr.Gent II Roller Ball in Rhodium Alloy with a thin gold accent in the center band, Postable cap.